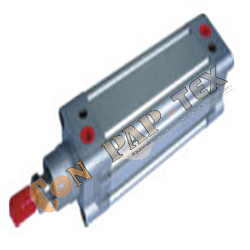 Pneumatic cylinders are available in different sizes, types and are traded strictly in compliance with ISO standards. Heavy duty & Robust constructions. Single & double acting models are available in Ten bore sizes from 25mm to 200mm. Selection of attachments for six mounting styles. Super finished and hard-chrome plated high tensile steel piston rods. Operating Temperature Max. 80o c.